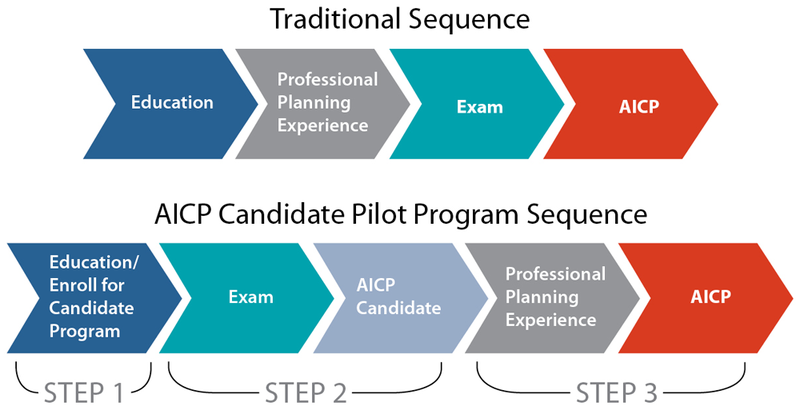 The purpose of the AICP Candidate Pilot program is to provide planners fresh out of college the opportunity to pursue the AICP Certification while they gain their professional planning experience. For the duration of the pilot phase of the program, students and graduates of Planning Accreditation Board-approved planning programs are eligible to enroll. The first year of the program shows that young planners have a strong desire to pursue AICP and to start their careers in the planning field. These planners are sending a message that dedication to high standards of practice, ethics, and professional conduct will continue to be the foundation of the planning field. After one year, 1,050 members have joined the program: 700 are graduates that are ready to take the exam, 137 passed the May 2018 AICP Certification Exam to become AICP Candidates, and 20 successfully applied for AICP in June 2018. For the 20 members that completed all of the steps, they also began their lifelong commitment to the planning field by tracking 16 Certification Maintenance credits before they applied for AICP. Their essays were reviewed and approved by the same team of AICP peer reviewers that assess the applications for planners pursuing the traditional path to AICP and were evaluated based on the same criteria. As year two begins, we are expecting to see an increase in the number of participants that complete all of the steps and join the dedicated planners in AICP. For the November 2018 exam window, over 200 graduate participants have registered to take the exam! Contact us at AICP@planning.org with questions. Eric Roach is APA's professional practice program associate.